In December, a fifth of the University’s executive decision-making body, University Council, made a landmark dissent from an annual report – the first time in at least ten years. 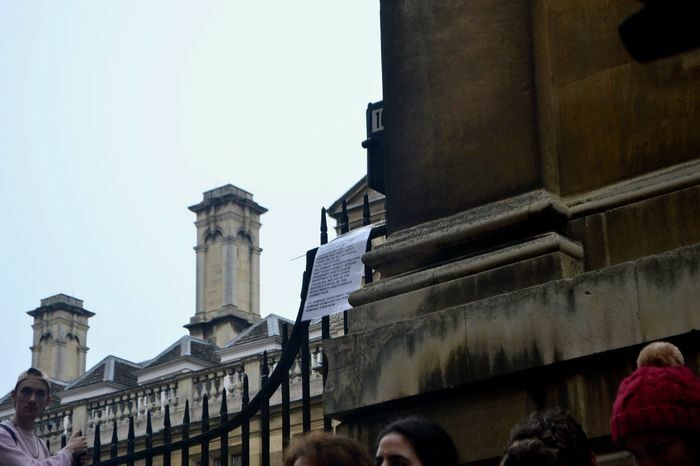 On Tuesday, during a discussion in Senate House of the annual report, speakers sharply criticised a perceived lack of transparency of Cambridge’s Investment Office. Two of the dissenters, Professor Ross Anderson and Professor Nick Gay, spoke. Re-cap: What’s the annual report, and why did a fifth of Council dissent? The annual report details the Council’s conduct, reports from committees, and actions from decisions made during Council meetings. The note, signed by five members of University Council at the time – Professor Ross Anderson, Professor Nick Gay, student representative Marcel Llavero Pasquina, Graduate Union president Sofia Ropek-Hewson, and CUSU President Evie Aspinall — criticised the lack of transparency of the University’s investment office. Professor Anderson commented on the denial of access to the Investment Office’s papers for all Council members: “We seem somehow to have traded the rule of law for rule by lawyers,” in reference to the University’s constitution, called its Statutes and Ordinances, which include in Council’s standing orders that a motion for members to have access to relevant papers can be proposed during a meeting and approved by two-third of the members present. He argued: “At any time in the past fourteen months, the Vice-Chancellor could have dealt with the matter. Cambridge’s Investment Office oversees Cambridge’s main endowment fund, which holds assets worth £3.19bn – over the past year, it has faced considerable scrutiny by academics and campaigners for a perceived lack of transparency in its operations. Its investment policy, overseen by the University Council and advised by the Investment Board, follows the main objective of “maximis[ing] the total return from the University’s investments within an acceptable risk exposure”, working mainly through external third-party fund managers. In September, nearly half of Cambridge’s Investment Office resigned. The Financial Times reported two people familiar with chief investment officer Nick Cavalla’s resignation said he believed the debate around divestment has left staff unable to get on with their “jobs of trying to maximise the value of their endowment”. Another discussion is set to take place in Senate House on Tuesday on the future of the Investment Office. Cambridge’s divestment working group, set up in May 2017 to consider the pros and cons of divestment, recommended greater transparency of the Investment Office. In response, the University said that the Investment Office would be asked to report to the Council annually, and that Council members could request to be invited annually to a seminar on the work of the Investment Office. Reverend Caddick, who has been an outspoken supporter of Cambridge’s divestment movement, criticised Council’s action on divestment. In June, Council decided that Cambridge would not be divesting fully from fossil fuels, in what was seen as a landmark rejection of full divestment after three years of campaigning from pro-divestment supporters. University Council’s landmark decision on divestment, passed in an extraordinary meeting of Council, decided against any commitment to full (or partial) divestment, and rejected recommendations from its divestment working group that it eliminate all remaining indirect investments from tar sands and thermal coal, the most pollutive industries in the sector. The decision was largely based on the recommendations of the divestment working group. The group released its highly-anticipated final report in May last year, recommending a position they called ‘considered divestment’. Analysis: Under heightened scrutiny, can University Council evolve? He said the term ‘considered divestment’ “is a monstrosity of duplicity and bad faith,” and explained: “‘considered divestment’ is neither considered nor divestment.